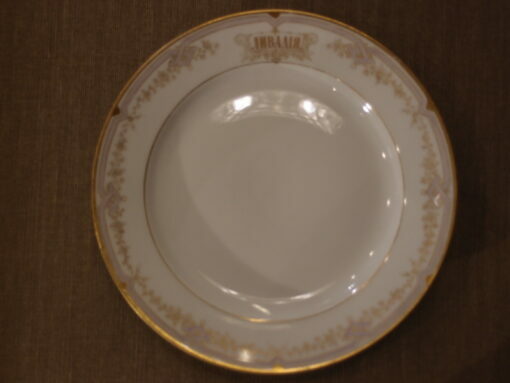 Made by the Imperial Porcelain Factory, in Russia, in 1912, this Nicolas II period plate bears the title of the palace for which it was made. 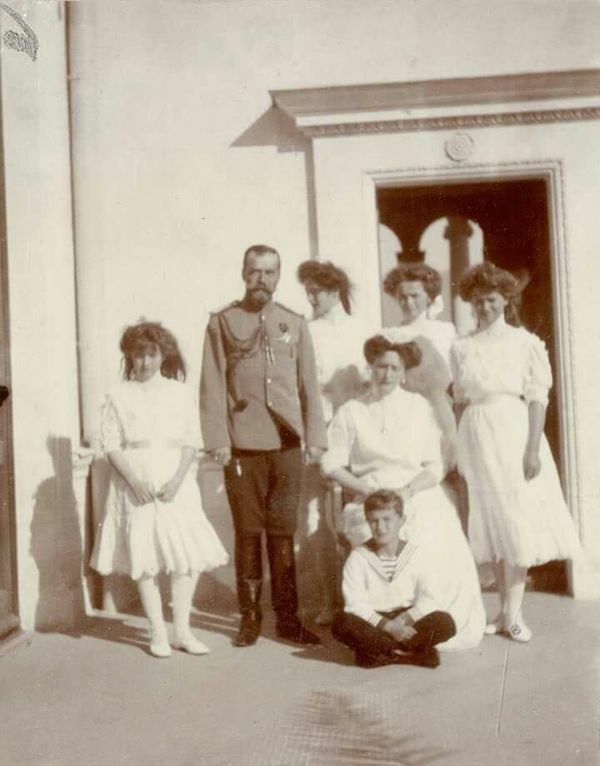 The Livadia Palace was a newly rebuilt palace by Nicholas II, and was a holiday location overlooking The sea at Yalta in the Crimea. The pan-Slavic strapwork that encircles the plate is enriched with mauve, the Empress' favourite colour. Made by the Imperial Porcelain Factory, in Russia, in 1912, this Nicolas II period plate bears the title of the palace for which it was made. 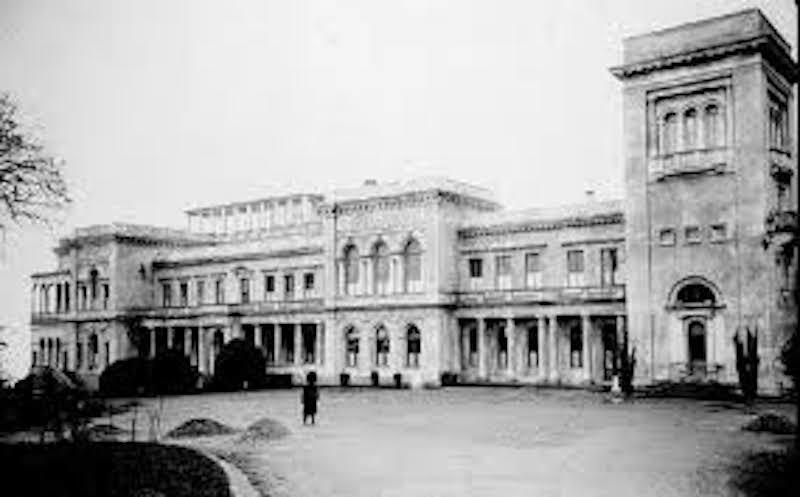 The Livadia Palace was a newly rebuilt palace by Nicholas II, and was a holiday location overlooking The sea at Yalta in the Crimea. The pan-Slavic strapwork that encircles the plate is enriched with mauve, the Empress’ favourite colour.